Our faithful readers know, by now, of course, that Singapore is just three degrees north of the equator. Our two seasons are hot and wet, and hotter and drier. Our days get at most five minutes shorter in the winter (our hot and wet season) and five minutes longer in the summer. 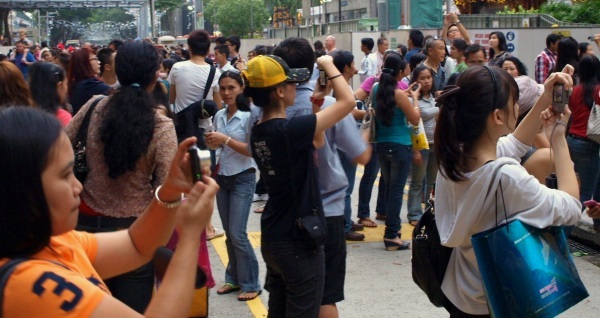 Our population is primarily ethnic Chinese, with a significant fraction of ethnic Malay, and a smaller but still significant fraction of ethnic Indian. In school, English is the primary language, but students are required to take twelve years of classes in the language of their ethnic heritage: Mandarin, Malay, or Tamil. We do not get snow. (When I took a taxi home from the airport a few days ago, I talked with the driver about the rain that we’d had for the last several days, and then I asked what he thought the weather would be for Christmas. “Maybe it will snow?” I asked. He almost choked! “No. 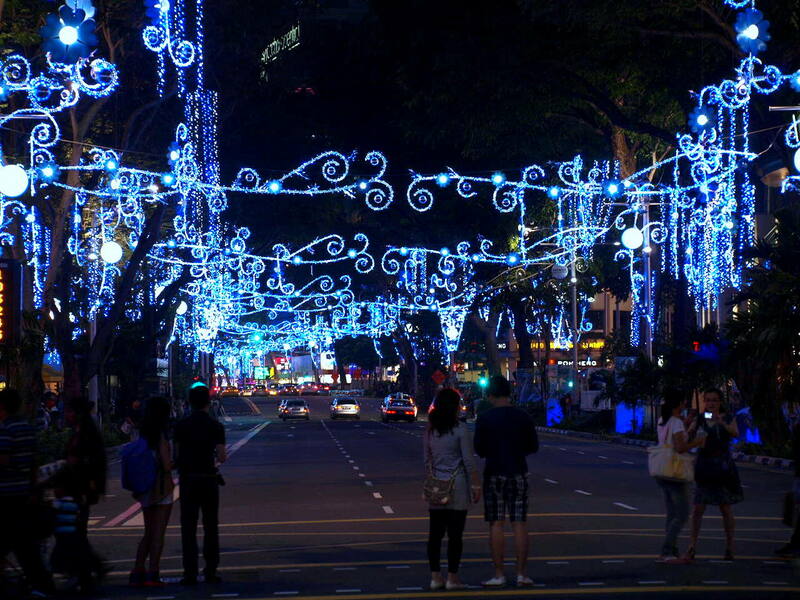 No snow in Singapore. 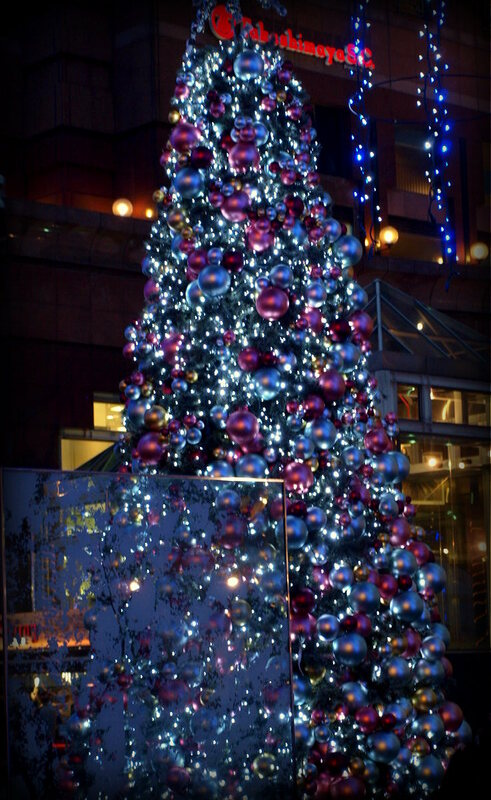 If it snow here, something wrong!”) We do not have short days for the winter solstice. We do not have a majority Christian population. Is that snow on the tree? Snow in Singapore? Really? Well, no, it’s soap suds. There’s a special machine that churns the suds and sprays them on the tree. Really? a soap suds machine? 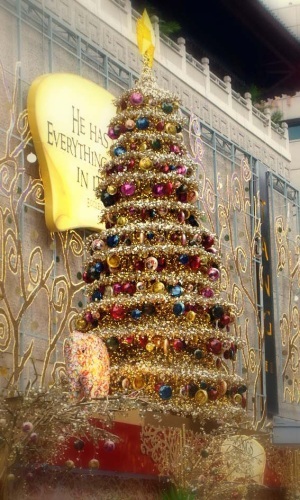 Every mall of any importance along Orchard Road has a tree. Twenty feet seems to be the minimum height. 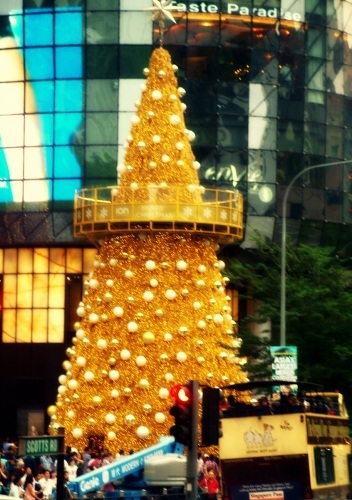 It looks like the hop-on, hop-off bus has a special tour of the Orchard Road Christmas trees. 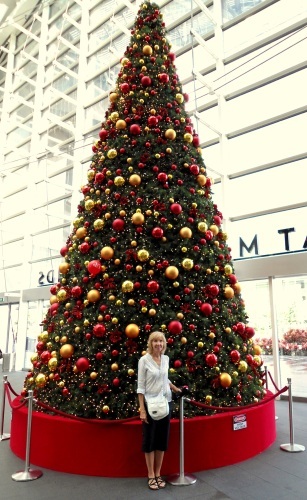 Paragon Plaza may be the mall with the most expensive brand stores, the coldest air-con, and the biggest tree. Soap-suds machines not withstanding, we don’t expect a white Christmas in Singapore, but the light show is pretty good none the less. AMAZING! 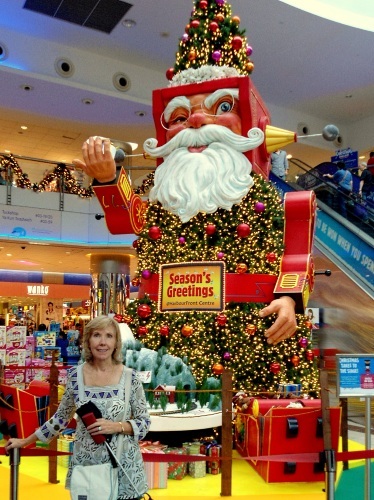 Spectacular and INFORMATIVE blogs by you and Nancy… great and interesting pictures! I appreciate the time and thought you both put into your blogs! Fireworks for New Year’s? I can’t wait to hear what it’s all about there. Love you both! I’m curious about the message behind the 4th from the bottom tree . . I can read “He has . . everything . . in”. do you know if this is a Christian msg . . did you see/photo the other side? I don’t remember what the rest of the sign is, but it is definitely not religious. There are, however, several manger scenes, with lifesize animals, angels, wisemen, and kids climbing all over them. Guess what! We went by the spot of that 4th from the bottom tree, and it WAS a biblical quote after all: “He has made everything beautiful in its time.” Ecclesiastes 3:11. 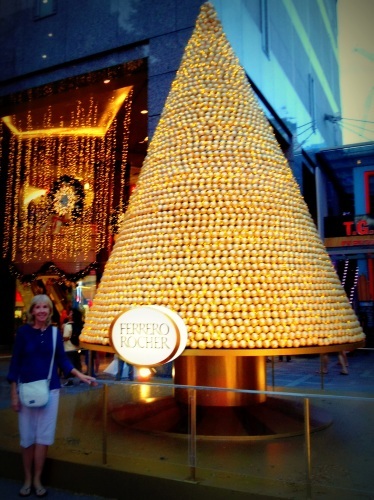 Considering how commercial most of the Christmas decorations are, we were quite surprised! That is comforting to hear. I also wondered what was written behind that tree. Thanks for rechecking & putting us all at ease. Now we know. Happy New Year Nancy and Mike. It is 10:51 pm Arizona time. May 2012 be good to all of us. 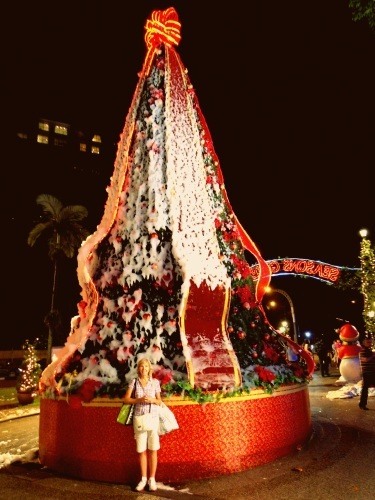 For not being of Christian belief, the Singaporeans certainly display the Christmas trees with elaborate decor. Just love the photos. How inviting. What a modern city. How you digest your life over there is absolutely fascinating. Love the photos, especially the ones that show your faces. What an unusual lifestyle you are leading. It makes for such wonderful memories later. So happy for you both. Really miss you guys, but to see your adventures and to share it with us makes us feel almost like we are with you. Many thanks. Blog on my friends. Lots of love and hugs from SCF.